Everyone wants to showcase something special during NBA All-Star Weekend. Don’t expect anything different from sneakers. Here’s a running list of what we can expect to see shoe-wise come Feb. 13-15 in Brooklyn and Manhattan. While celebrating Jordan Brand’s 30th anniversary, the brand has introduced its Pearl pack for this year’s All-Star game. 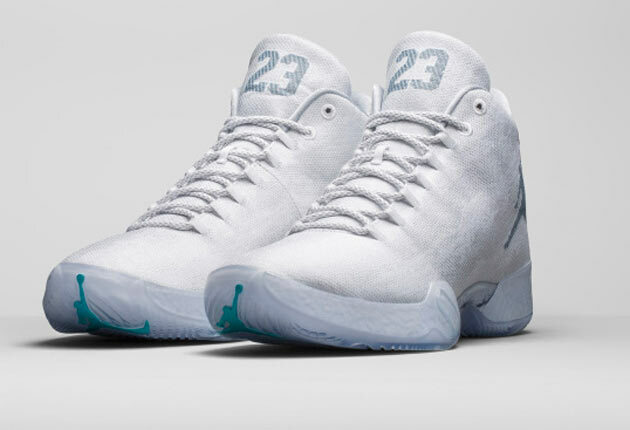 Led by the Air Jordan XX9, worn by Russell Westbrook, all four Pearl-inspired shoes possess the color scheme with a pearl-inspired texture and reflective threading. For the Air Jordan XX9, the woven upper shimmers with the coloring, giving the Jumpman logo and giant number on the tongue a chance to sparkle. Worn by Blake Griffin and LaMarcus Aldridge, the Super.Fly 3 has gone nearly solid white for the All-Star game, highlighting the fused upper that the brand says provides strength and support. The pearl coloring has a white-based sheen. 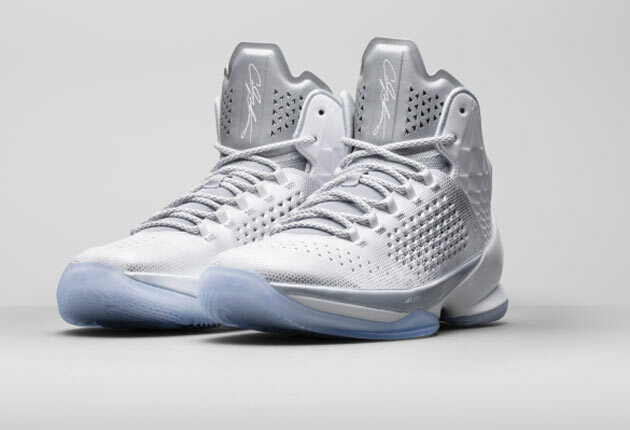 The recently released Melo M11 takes to its Pearl All-Star look for signature athlete Carmelo Anthony with its ankle support and perforated-looking upper. A molded collar continues the support technology in the white-based offering. 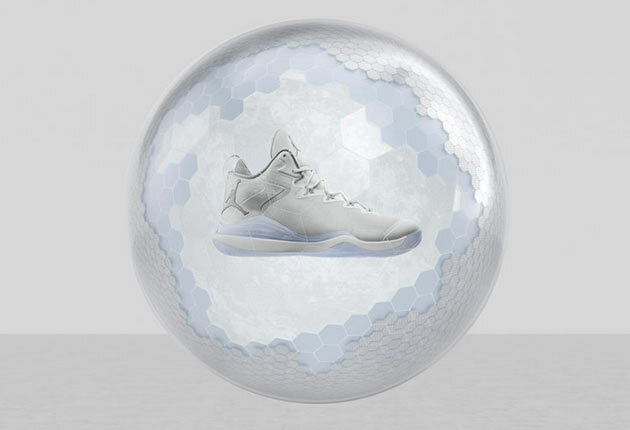 Inspired by swift movements, the lightweight and light-colored Pearl All-Star edition for Chris Paul has a no-sew upper for extra weight reduction and improved breathability. 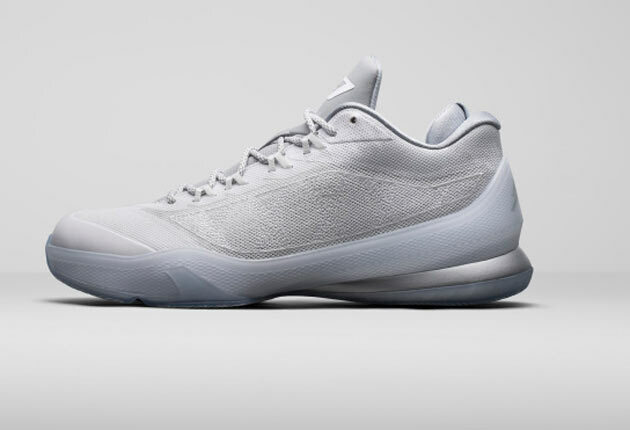 The low-cut CP3.VIII gives the Jordan brand a sleeker signature look, but still with the pearl sparkle the pack offers. 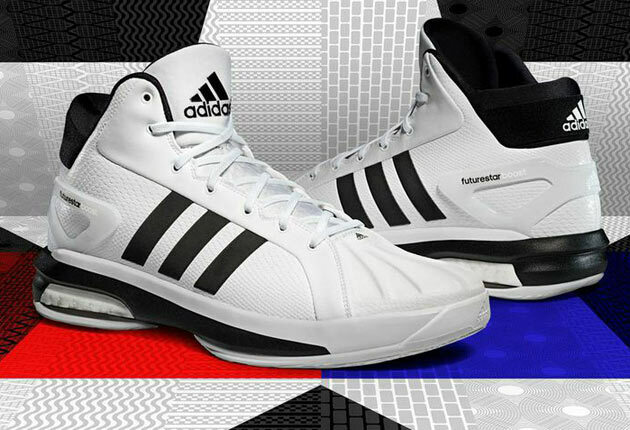 Adidas had the D Lillard 1 all ready to roll out for All-Star Weekend, but with Lillard originally being snubbed and left off the roster, Adidas was resigned to sit on the design. That is, until Blake Griffin withdrew due to a staph infection, opening up a spot for Lillard. 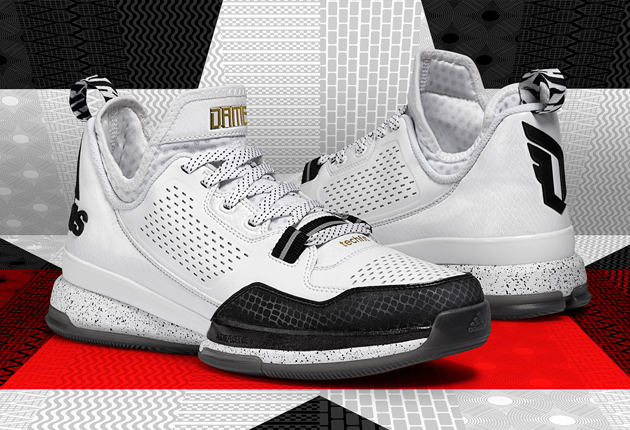 The brand-new D Lillard 1 joined the All-Star game sneaker lineup at the same time. A clean white leather upper with snakeskin texture across the back panel gets accented by black, some with snakeskin prints. The white and black splatter print get color with a metallic gold “Dame” and Adidas logo across the tongue. 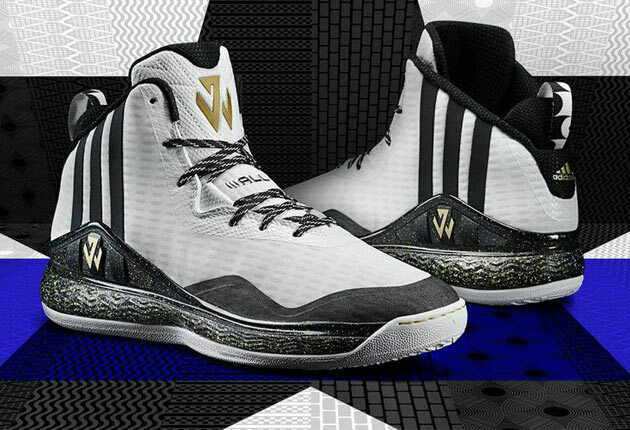 Designed in tandem with the Adidas-created All-Star uniforms, the first All-Star edition for the Wizards’ star includes white, black and metallic gold. A white leather snakeskin texture around the laces, top of the tongue and ankle add to the mesh look of the new design. Gold flakes along the midfoot tie to the gold "J Wall" logo on the tongue and side. 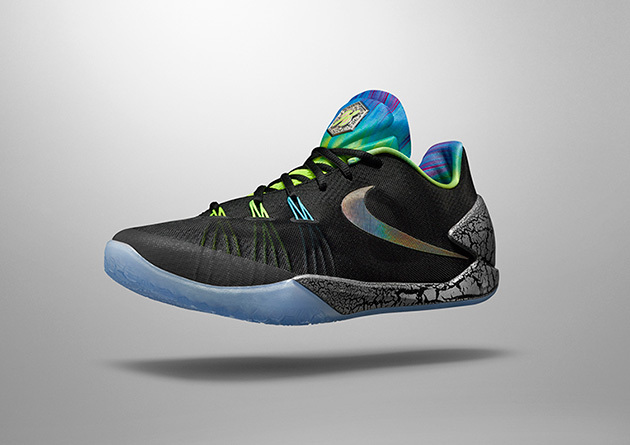 The speed and old-school allure of the New York Subway take center stage for Kyrie’s first signature All-Star sneaker. 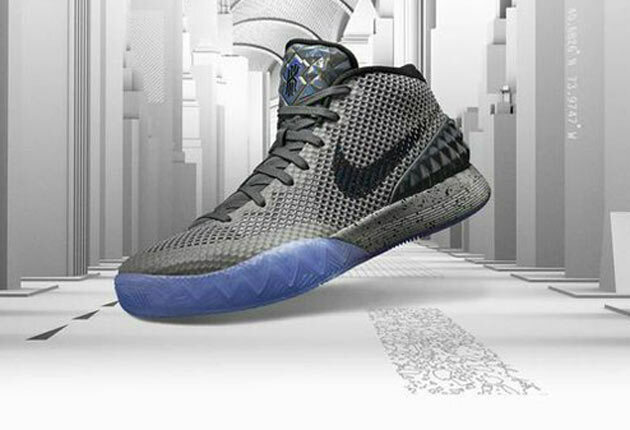 Taking inspiration from the tile design across strong arches found in New York’s famed City Hall subway stop, the gray-tiled look of the Kyrie 1 upper puts the focus on the traction of the shoe by highlighting the outsole in blurring purple. 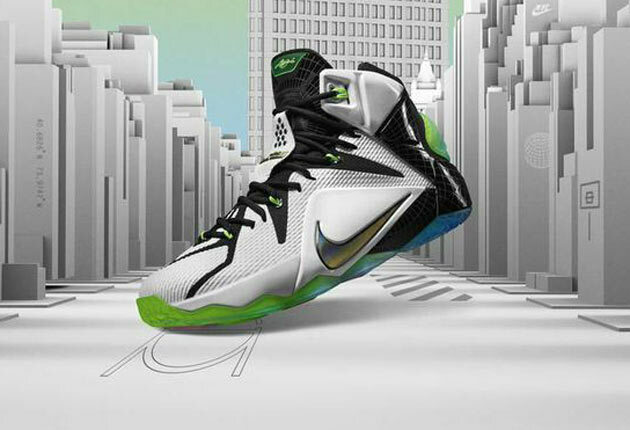 Think functional geometry with the LeBron 12, inspired by New York’s Flatiron building and its ability to rise above a city block with its unique place at Fifth Avenue and Broadway. The structure of the Lebron 12 aims for that same power and support, highlighted visually in the All-Star sneaker with a white and black upper accented by bright colors that call out geometry. Stephen Curry will walk into the All-Star Game as the leading vote getter. And he’ll do so in his first signature shoe, the Curry One. 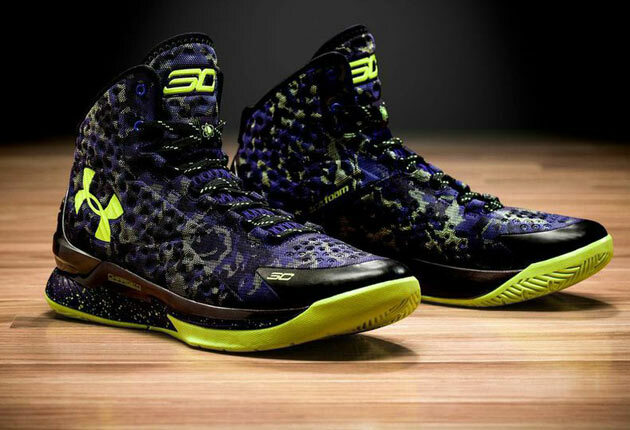 But this time the new All-Star Dark Matter version will feature a “purple rain” camo upper. Inspired from the universe’s dark matter as a way to highlight the “energy and explosiveness” of Curry, an atom-inspired label accents the shoe’s tongue. 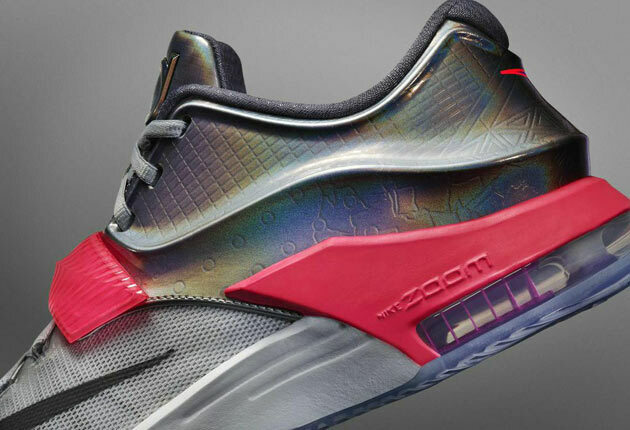 Look no further than the heel on the KD7 to find the technology Nike wants to highlight. The Hyperposite heel combines with Zoom Air to form the leading tech for the signature Durant shoe, which takes its All-Star inspiration from the combination of steel and suspension found in the Brooklyn Bridge. Drawing on inspiration from New York’s ability to gather thoughts and ideas in one place during the 1964 World’s Fair, the brand-new Kobe X combines differing technologies into one shoe. 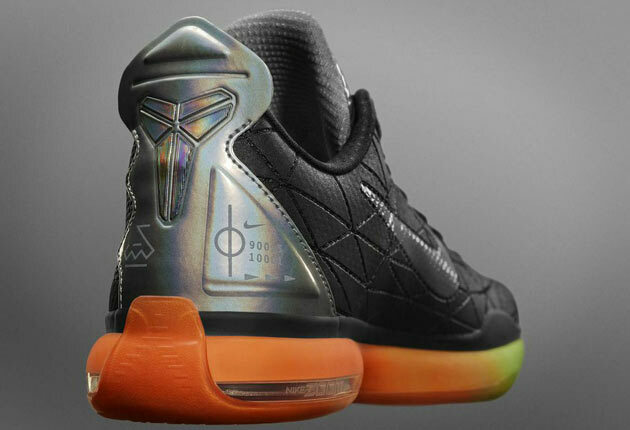 Nike accented this story with a colorful outsole and graphics on the rear of the shoe to call out technologies. A brand-new Adidas sneaker was designed to pay homage to the Adidas Pro Model. But this version was designed with New York City All-Star uniforms in mind. Playing heavily on white, expect more snakeskin texture and a reinforced toe box that provides both durability and the main throwback component. Boost cushioning will support “select athletes” who participate in the All-Star festivities. James Harden is all about footwork. So when Nike designer Tony Hardman set out to make the Oregon-based company’s latest shoe, the Nike Hyperchase, he used Harden as his model. Every angle and material in the Hyperchase, which launches on Feb. 12 with an inaugural colorway customized for Harden’s All-Star appearance in New York City, puts the focus on lateral and vertical movement. Tim Newcomb covers gear, design and stadiums for Sports Illustrated. Follow him on Twitter at @tdnewcomb.